Named for the Alberta, Canada region. Christmas wish list: Fresh Centrosaurus carcus, also LEGO Coast Guard Chopper. 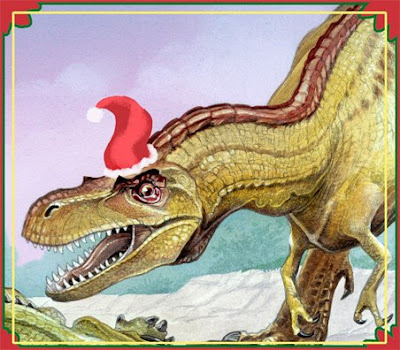 Hmmm, there's not really a lot for people to comment about on this Dino Advent thing. So I'll make my own comments. These dinos are all from previous jobs. None of them appear in the actual Dinosaurs' Night Before Christmas book. I'm allowed to use them "for self promotion" but the rights to these images belong to the clients who purchased them. The Coast Guard Chopper is pretty sweet. Love the orange and blue color scheme.